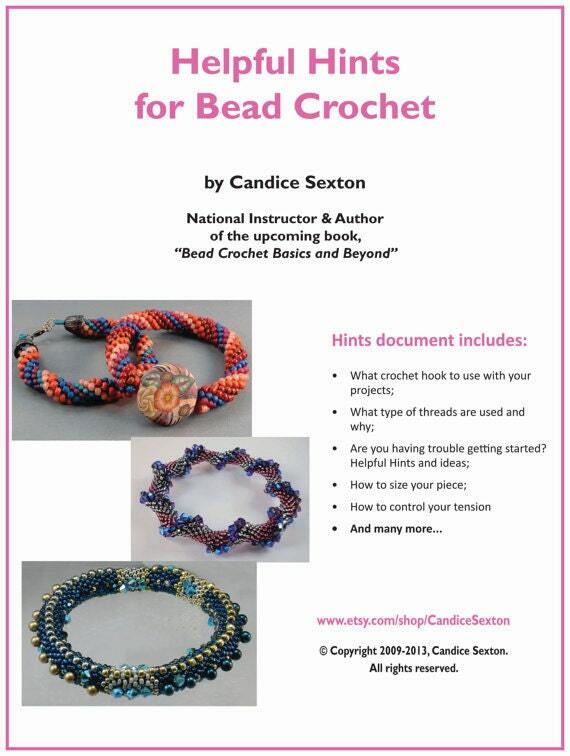 Cotton Candy Bead Crochet Pattern - Pattern, instructions, Helpful Hints, and Adding Thread Documents. 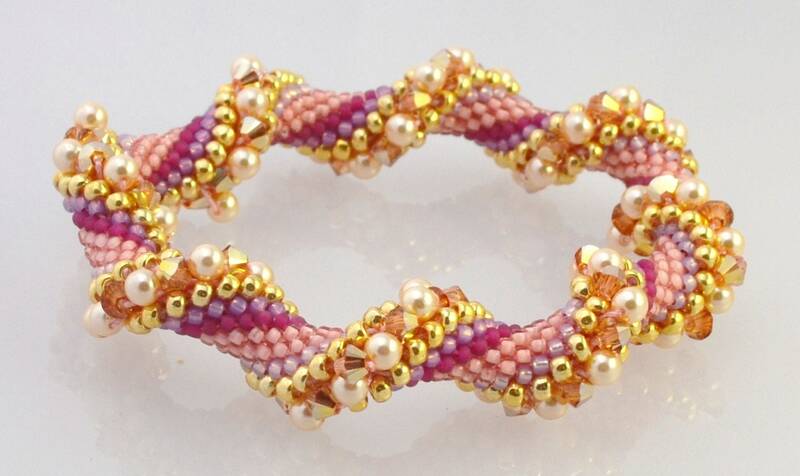 Crochet this dazzling crystal bracelet using size 11/0 seed beads and Swarovski crystals, and size 20# crochet thread. This listing is for the pattern only and two other documents. 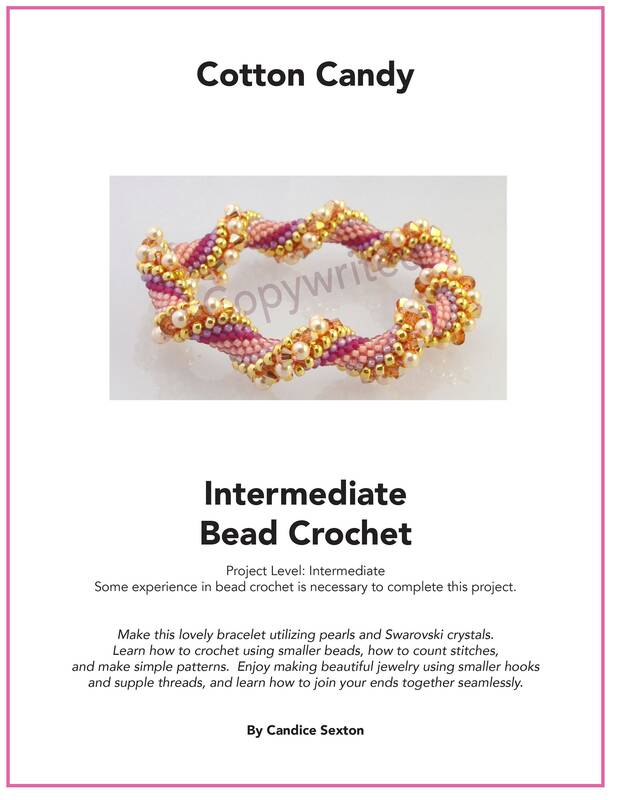 The pattern includes the bead stringing pattern, thread type and weight, how to size your bracelet; the Hints document includes how to use an invisible join, hints on how to do bead crochet, hook & thread sizes and many others, and how to add thread. *** INSTRUCTIONS AVAILABLE INSTANTLY VIA DOWNLOAD! *** Your pdf files are available via the download button once payment has been received. Instructions arrive as a high-quality pdf file ready for you to print and use.